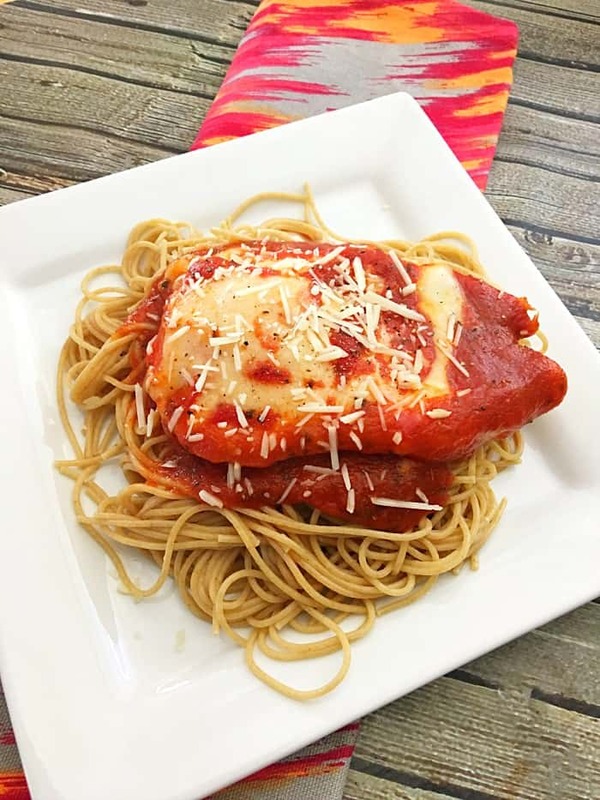 This BAKED CHICKEN PARMESAN recipe is a healthier version than the typical fried chicken parmesan that you usually see. 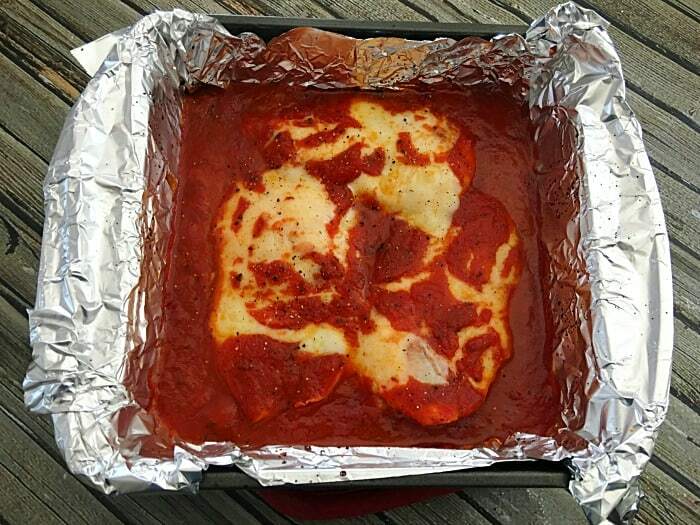 With only 4 ingredients, you will be able to whip up this delicious chicken parmesan in no time! 1. 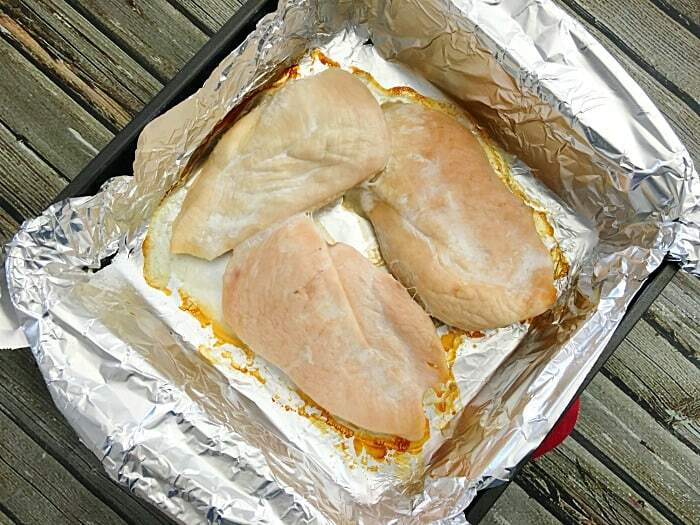 Preheat your oven to 375° and line a baking pan with a non-stick aluminum foil. 3. 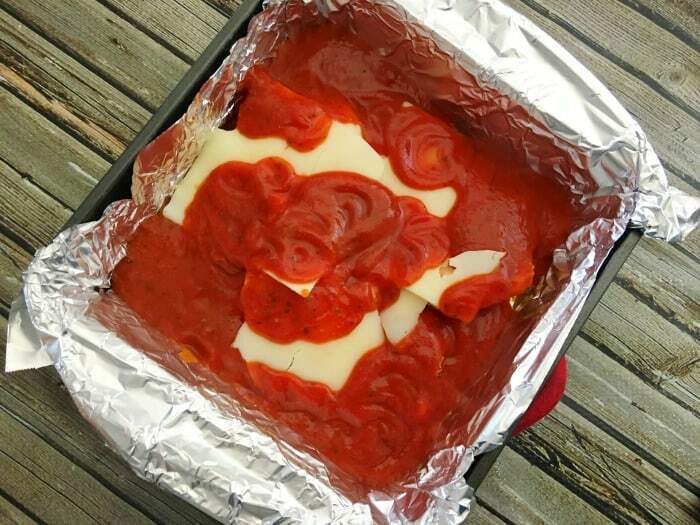 Place a slice of Swiss cheese on each chicken breast and pour your spaghetti sauce on top and around your chicken. 4. 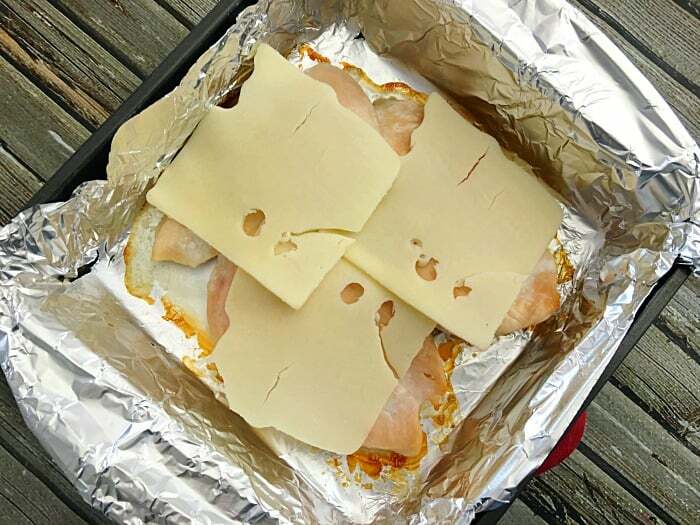 Place your chicken back in the oven for another 25 minutes. 5. Boil/cook your noodles as directed on box. 6. 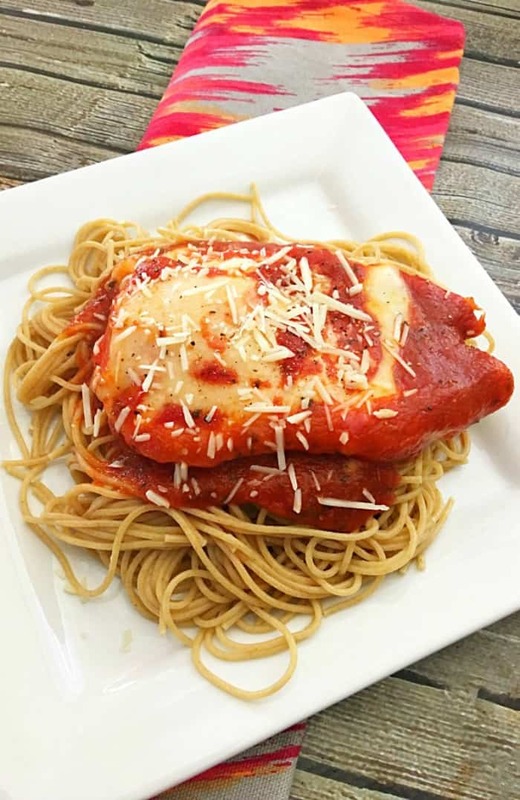 Serve a chicken breast on top of a bed of cooked noodles with a extra scoop of sauce, and Parmesan cheese. Nice and easy. 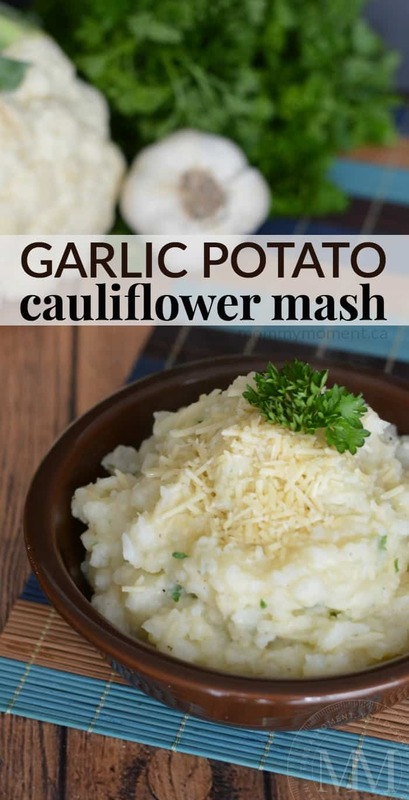 Definitely a simple recipe i’d like to try. 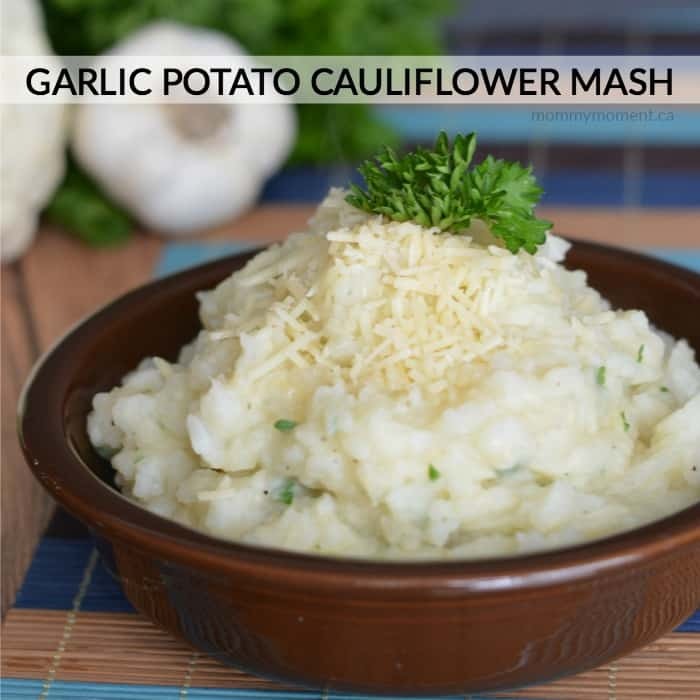 This looks so good and I love recipes with not too many ingredients.